If you like beer as much as you do, you have to check out the best pub crawls in the world! If you’re an avid traveler you don’t need an excuse to travel. If you aren’t, this is just the excuse you need. 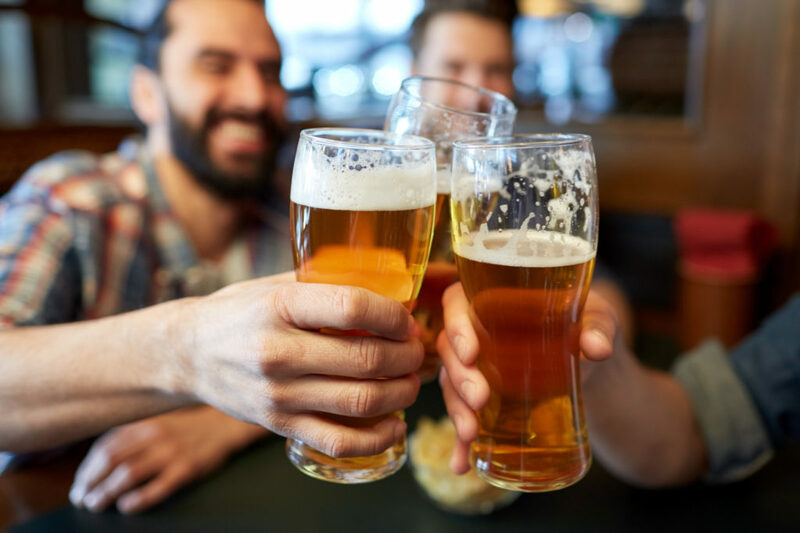 Beer and alcohol lovers alike should have the opportunities to expand their pallet and get a taste from around the world – literally. Open your eyes and your taste buds by experiencing the 7 best pub crawls in the world during your adventures. Read on to learn where to stop along the way! Our journey begins in Glasgow, Scotland where this pub crawl takes place underground. Once below ground, you’ll find not one but 15 substations to try. Each one offers a bar which is included in the crawl. Ride the subway and stop at one or all the stations before taking the metro back home. An affordable and unique experience, this is one pub crawl you don’t want to miss. Who’s up for a game of Monopoly? While this game will either make you go broke or make you a millionaire, London’s monopoly pub crawl will let you have fun doing it. Play a live version of British Monopoly as you work your way down 26 streets, each hosting a bar to try from. Begin this crawl Old Kent Road and try not to end up in “jail” along the way. You’ll feel as though you’re really playing as things get competitive where you can win a beauty contest before finishing at Oxford Street. We’ve all prepared for a zombie apocalypse but few have prepared for this Zombie Pub Crawl. Travel to Minneapolis and enjoy a night of live music and interesting drink specials along this zombie pub crawl. Dress up along with thousands of others and become a part of the 15,458 undead who took the title of largest zombie gathering in the Guinness Book of World Records back in 2014. If you find yourself in Prague you’ll be looking forward to a night full of vodka shooters, wine, absinthe and Czech beer. Finding a guide who knows the best bars in the Old Town is your best bet for a successful bar crawl. Not only will you have the night of your life but your wallet won’t be hurting afterward. In Prague, you’ll find cheap liquor and some bars sell a pint of beer for as low as EUR1. Are you a Jagermeister lover? If so, This Super Bar Crawl in Amsterdam is calling your name. Join a professional guide as they take your group from bar to bar where a Jagershot will be waiting for you at every stop. You’ll have access into every nightclub to finish off your night. Disney has a reputation for being the Happiest Place on Earth for children but it doesn’t have to stop there. After you’ve done your tours through www.magicviptours.com, stop off in Epcot and tour through a variety of international watering holes. If you don’t have all day for a bar crawl make sure you try margaritas from Mexico’s La Cava del Tequila, a pilsner from Germany’s Bier, a glass of wine from Italy’s Enoteca Castello and Torontopolitans from Canada’s Le Cellier. On the last stop of our world bar crawl is one of the most unique on the list. Tube down the Laos river and switch between drinking at the bar or in your tube. Though we don’t recommend drinking and tubing on a river, we advise you to be careful with this one as it can get dangerous. In addition to getting a taste of the culture while you travel why not get a taste of something else? These pub crawls around the world are a unique adventure you won’t want to miss on your next trip across the globe. For more information on beer, food, and travel tips visit our website. Have questions about a specific country? Contact us to chat!